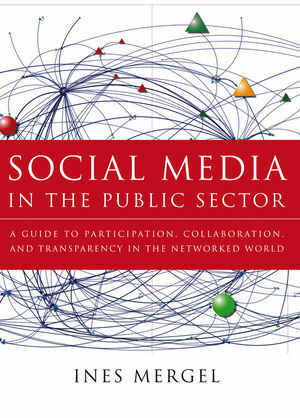 Grounded in solid research, Social Media in the Public Sector explores the myriad uses of social media in the public sector and combines existing practices with theories of public administration, networked governance, and information management. Comprehensive in scope, the book includes best practices, the strategic, managerial, administrative, and procedural aspects of using social media, and explains the theoretical dimensions of how social behavior affects the adoption of social media technologies. "Mergel has produced a foundational work that combines the best kind of scholarship with shoe-leather reporting and anthropology that highlights the debates that government agencies are struggling to resolve and the fruits of their efforts as they embrace the social media revolution. Social Media in the Public Sector is a first and sets a high standard against which subsequent analysis will be measured." "Mergel is an award-winning author who again wields her story skills in this book. She excels in explaining in concrete, practical terms how government managers can use social media to serve the public. Her book puts years of research into one handy guide. It's practical. It's readable. And it's an essential read." "Mergel moves beyond the hype with detailed, comprehensive research on social media technologies, use, management, and policies in government. This book should be required reading for researchers and public managers alike." "Comprehensive and compelling, Social Media in the Public Sector makes the case that to achieve Government 2.0, agencies must first adopt Web 2.0 social technologies. Mergel explains both how and why in this contemporary study of traditional institutions adopting and adapting to new technologies." Ines Mergel is assistant professor of public administration at the Maxwell School of Citizenship and Public Affairs and the School of Information Studies (iSchool) at Syracuse University.